Below are a few of the amazing partners we work with who sponsor different opportunities throughout the year that offer a variety of ways you can support Soldiers' Angels. Shop Amazon: Access Amazon using this link and Soldiers' Angels receives a percentage of your overall sales. 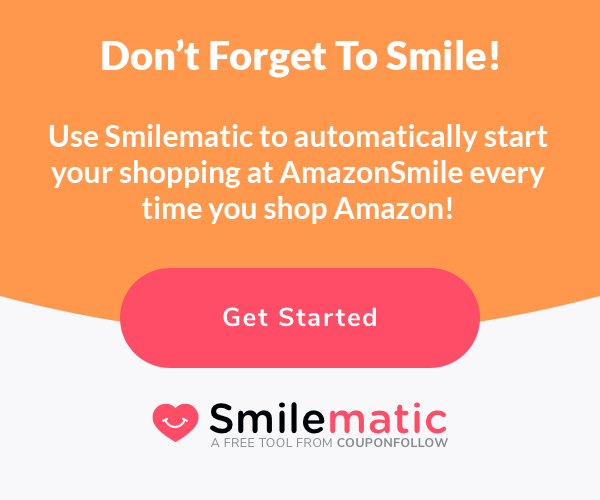 Also consider using the browser extension Smilematic to automatically redirect you to AmazonSmile whenever you shop at Amazon! Soldiers' Angels Online Store: Purchase branded Soldiers' Angels items from our online store and a portion of the proceeds will go to help military families. Sponsor items for troops and veterans: Soldiers' Angels provides care packages for deployed soldiers, hygiene kits and vet packs for hospitalized veterans, and hygiene kits and box lunches for homeless veterans. You can sponsor these items by clicking here and sponsoring any of these items for Soldiers’ Angels to distribute to those in need. Host an event through First Giving: Fundraise for Soldiers' Angels your way! Create a Fundraising Page at First Giving that will donate directly to Soldiers' Angels. Fundraising pages can be created for just about any type of event-- from a Silent Auction at a large gathering, to a Lemonade stand at your next Neighborhood Block Party. First Giving is a great way to get your friends, family and community behind a cause you support! Click here to get started with First Giving. Find great deals on Slickdeals: Register for free at Slickdeals Gives Back and select Soldiers' Angels as your designated non-profit. You'll find great deals and discounts while earning points for us with every click, and double points anytime you shop via the program from one of the bonus stores: Amazon, Walmart, and Target. Click here to get started with Slickdeals. Purchase the Marc Pro Plus® Hero Edition: Marc Pro and Marc Pro Plus are unique electrical stimulation devices that are able to provide recovery and pain relief benefits. For every Marc Pro Plus® Hero Edition purchased, Marc Pro will donate $50 to Soldiers' Angels.